Leicester City host West Ham United on Saturday night as they look to return to winning ways after defeat on Monday. Leicester City host West Ham United at the King Power Stadium on Saturday evening as they look to bounce back from two successive defeats. The Foxes will play in front of the Leicester faithful for the first time since their 2-1 defeat to Everton, whilst the visitors look to win for the first time since their spectacular victory against Manchester United. Three points from the match will see Leicester, depending on other results, jump back into the top half of the table. This will aid their European ambitions as it would see them catch up or keep up with the likes of Manchester United, who find themselves two points in front as it stands, and Wolverhampton Wanderers and Everton who both sit three points ahead. Should the three points go to the Hammers, it could see them climb further away from the drop zone and potentially see a gap between them and the teams in trouble, including Newcastle United and Huddersfield Town. Harry Maguire has been very consistent for Leicester this season, but he will have his work cut out against West Ham's danger man Marko Arnautovic. The Hammers' striker has netted four times this season and has proved to be a very effective attacking option for the side. Maguire has kept two clean sheets in the Premier League this season and will have to perform to his highest level on Saturday evening to keep a third. 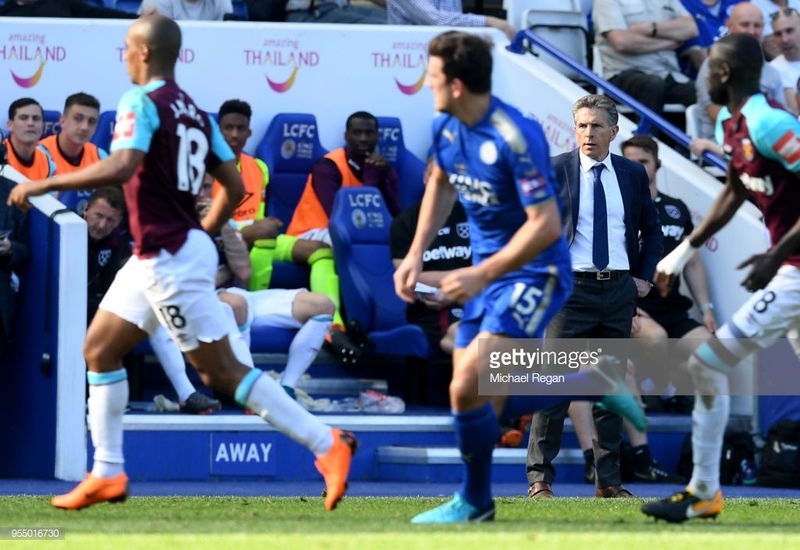 The last clash between the teams ended badly for the Foxes as they slumped to a 2-0 defeat after goals from Joao Mario and a world class strike from Mark Noble won it for the Hammers. The real story of the match happened after the final whistle as the majority of the stadium emptied before the Leicester players underwent their lap of appreciation to the fans, resulting in the players having to thank empty seats. Jamie Vardy has declared that he will be fit after he posted on social media that he is "back to full strength" after a stomach bug saw him leave the field early at Arsenal. Claude Puel stated in his pre-match press conference that Demarai Gray could return to the squad after recovering from an ankle injury sustained in the Carabao Cup against Wolves. Wes Morgan is serving the second of his two match ban whilst Matty James is still recovering from his long term injury. West Ham will be without Andriy Yarmolenko for what could be the rest of the season after sustaining an Achilles injury. Andy Carroll, Jack Wilshere, Pedro Obiang and Manuel Lanzini make up the rest of the Hammers' injury list. Leicester: Schmeichel; Amartey, Evans, Maguire, Chilwell; Mendy, N'Didi; Pereira, Maddison; Iheanacho, Vardy. West Ham: Fabianski; Zabaleta, Balbuena, Diop, Creswell; Rice, Noble; Diangana, Snodgrass, Anderson; Arnautovic. Claude Puel has heaped praise on West Ham, highlighting Arnautovic in particular as a "great player". Talking in his pre-match press conference, he said: "He’s a striker who can keep the ball, has fantastic control with the ball and he can make the difference, but all the team can give good spirit and can give good moves." He also went on to compliment West Ham as a team, highlighting the tough task that the Foxes have this weekend. Puel said: "They are always ready to fight and to control the game, they have a lot of good players with a fantastic manager also. We need a strong game against this team. They are improving." Manuel Pellegrini has stated that every match in the Premier League is difficult, highlighting Leicester as "no exception" as he addressed the media in his pre-match press conference. He said: "All the games are difficult in the Premier League because the teams have similar players and all of them have money to bring in good players. Leicester are not an exception."